This article covers the main Atwood water heater parts for LP gas, electric RV water heating, and heaters that are utilizing the RV's engine heat. Atwood is one of the leaders and largest North American manufacturers, specialized in water heaters for marine and RV applications. Atwood heaters are designed and constructed to provide efficient, reliable and durable heating, where the service network and the availability of the replacement parts have the major role. 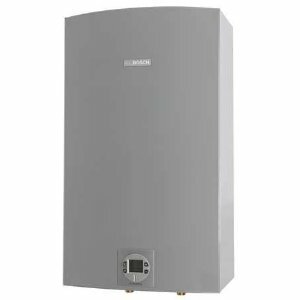 A list of the Atwood water heater parts below covers all the models available from this manufacturer; LP gas heaters with the electric and pilot ignition, and combined with the electrical and/or RV engine water heating. Tank - 6 and 10 gallons is used to store the hot water. The drain plug is used to drain water when cleaning the unit. Pressure-Temperature relief valve with two sizes, 1/2" and 3/4" - is the safety element which releases the water when the pressure increases above the allowed. On-Off switch (if the heater is using a combination of gas and electric, then you should use one dual switch or two single). Piezo igniter is battery operated and retrofits on all pilot model heaters. Robertshaw or White Rodger gas valve and thermostat. Main burner and orifice (depends on the tank capacity). Atwood water heater parts can be ordered either as the genuine OEM or aftermarket parts, through many RV dealer stores, online and offline. Atwood also suggests not using aftermarket parts as they can lead to out of control heating. Atwood RV parts inside the heater are easy to use, replace, and they are safe. Thanks to the heater design, these parts are accessible, where 95% of them are serviceable through the exterior door. This is what reduces the time to service your RV water heater without entering the vehicle. All the Atwood parts are protected inside the sealed combustion chamber, and behind the door, which has a durable and resistant paint, to keep the parts clean and sheltered from the harsh weather and terrain conditions, while still keeping its exterior attractive and matching your vehicle. Atwood RV parts including the high-temperature limit switch, thermostat, TPR valve, provide multiple protection to the water heater, so that problems can be prevented successfully. Atwood water heaters are equipped with the aluminum clad tanks for the reduced weight, where the cladding reduces the number of parts by eliminating the need for the anode rod. If planning to install the anode rod that is used to protect your heater from corrosion, just remove the plastic drain plug and insert the anode. In order to use it for Atwood water heaters, anode rod has to be 4.5" long with a 1/2" pipe thread. One of the main Atwood water heater parts is the ignition system. You can buy an Atwood heater with the electronic, pilot ignition and pilot re-light system. The electronic switch is used on the electronic ignition heaters, located inside the RV, and is one of the simplest and very convenient to use Atwood water heater parts, which by easy flipping on the switch, turns the heater ON or OFF. Pilot ignition requires you manually to light the pilot when the destination is reached, and you want to use hot water... it is ready in less than 30 min. With the pilot re-light system you will light the pilot only once, and if for any reason something extinguishes the flame, the Atwood water heater pilot relights itself. 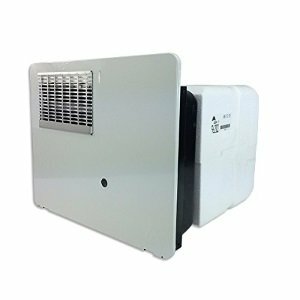 Each heater that is using electricity is equipped with the high quality 120 V and 1400 W (220 V and 1500 W is also available) Incalloy heating element, designed to withstand accidental operation in an empty tank. The electric water heater can be run either off the electrical hookup or a generator. 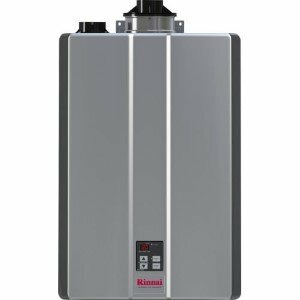 The Atwood RV water heater comes with a factory equipped fused circuit board, an important safety part that protects the unit from voltage spikes and shorts in the electrical system. If the fuse is activated, all the Atwood water heater parts are blocked, and the water heater doesn't operate. To replace the fuse do not use a fuse larger than 3 amps. Units are also equipped with the red lockout lamp that signalizes when the unit is in the lockout state. This is happening when there is no ignition after several attempts and when the thermostat fails; the ECO will lock-out the system requiring resetting. TCO or thermal cut off element is installed on the power supply line to shut off the power and stop the heater when activated. If there is an obstruction in the flue tube due to the increased heat, the fuse inside the TCO will melt and turn the unit off. The heat exchanger is one of the most important Atwood water heater parts used on the engine heated appliances, with the double tube construction to prevent the engine coolant from contaminating the fresh water. The heat exchanger is used to transfer the wasted heat energy safely from the engine-cooling system when the engine is running. Use the drain plugs to drain the water heater and prepare it for winter, or for flushing the system. Adjustable thermostat allows you to control the temperature of your heater that uses the electronic ignition. It is easy to install, and it regulates the temperature from 110 to 150 F.
Thermal cut off kit is used to protect the electronic ignition water heater from the damage caused by the excessive heat conditions. The door mounting system is used to increase the above floor space by mounting the water heater below the floor and behind the baggage door. Atwood water heater replacement doors are available in white or colonial white colors. The Atwood water heater is equipped with the mixing valve, a safety part which is used to mix the cold water with the higher hot water temperature, in order to get the outlet water temperature around 130 F. This is an important component and if the failure occurs the part is not serviceable, it must be replaced. The pressure-temperature relief valve must not be removed for any reason other than replacement also. The valve must have a maximum set pressure not to exceed 150 psi. This Atwood part has to be installed into the opening provided for this purpose on the water heater and per either local or ANSI codes. Keep in mind that the pressure and temperature relief valve will sometimes drip due to the hot water expansion. In the beginning, dripping is reduced since there is an internal air gap at the top of the tank. In time, this air space will be gone and must be restored. New XT models are equipped with the microprocessor technology with a gas and electric lockout. 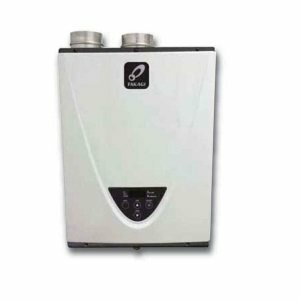 The circuit board is compatible with other gas-fired water heaters also. XT model has a new dual switch panel that eliminates the need for the 120V remote switch, where a 12-volt relay powers the electric element. To order any of the Atwood water heater parts, you should have handy a water heater model number, product number and serial number.